A paintball bachelor party in Minnesota is the best way to party with friends before the big day. It’s the greatest thing to do that will be a lot of fun for the whole crowd. By using a paintball gun a person has the freedom to experience the unusual, yet exciting atmosphere with their friends. A paintball bachelor party in Minnesota is about color and excitement, new beginnings, new atmospheres, and a whole new way of life. The close friends of your bachelor already know this; and they are generally out to accomplish their goal. They wish to show powerful ramifications for the bachelor prior to he gets to be the bridegroom. When he does, all these issues will happen within his life: new coloration, new exhilaration, new beginnings, and new encounters that can splash all over his daily life. Whether or not you encourage a huge audience or a small grouping of seven; you will possess enjoyable. Every person usually takes the paintball exterior, aspires at their specific goal, along with a splash of bright shade sprays throughout the atmosphere. 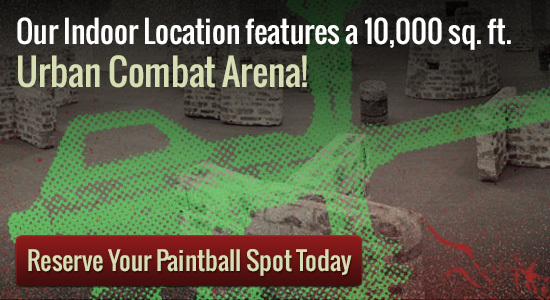 No matter if yellow, green, purple and red or glowing blue, the paintball shows the display. After some time, the full bash of guests will likely be included head to toe in color that is easily laundered away from apparel. This is a great way to celebrate and enjoy the outdoor atmosphere. Intriguing and enjoyable, and satisfying; friends of the bachelor can feel right at home knowing everyone will have a good time. Both private play and walk-on play are available at Splatball. Reservations are available daily. We can accommodate nearly any sized group. You can reserve your spot by giving us a call at 612-378-0385. Spots fill up fast, so make sure to book at least a week in advance.